Beginning her career as an orthopaedic surgeon who helped pioneer a treatment for joint ageing, German doctor Barbara Sturm became fascinated by aesthetic medicine and improving the effects of injectables through her own cutting-edge research. 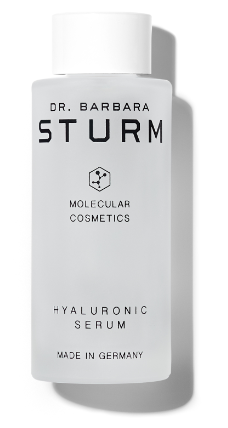 Now globally recognised for her non-surgical anti-ageing treatments that achieve beautiful, healthy skin, Dr. Barbara Sturm has become a social media staple for celebrities like Kim Kardashian West, Victoria Beckham, Cher, Hailey Bieber, Kate Moss, and Rosie Huntington-Whiteley, who have all raved about her revolutionary at-home therapies. The heart of each Dr. Barbara Sturm product is purslane: a natural ingredient that activates the ‘fountain of youth enzyme’ telomerase in our cells and delivers antioxidative and anti-inflammatory effects to the skin. In addition to telomerase activation, all Dr. Sturm’s remedies attack inflammation and diminished hydration, both of which cause wrinkles, enlarged pores, eczema, acne, uneven pigmentation, and other common skin concerns. 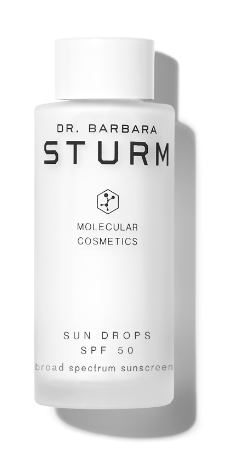 Made in Germany, the Dr. Barbara Sturm Molecular Cosmetics line was formulated for women and men who yearn for uncomplicated, yet highly effective skincare that hydrates, regenerates and protects the skin through a potent combination of scientifically driven aesthetic medicine and nature’s reparative offerings. 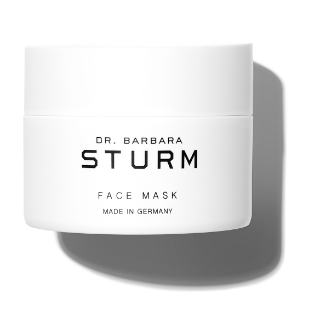 Dr. Barbara Sturm believes that facial skincare regimes should be easy to use yet yield maximum results. Her regime focuses on anti-ageing, skin rejuvenation, cell regeneration, and protection of the skin matrix and barrier function. She used her two decades of clinical medical experience to create this powerful yet simple skincare regime that eliminates all unnecessary products and substances, focusing on essential anti-ageing and nutritional ingredients of the highest quality. The ideal first step in any skincare routine, this soft foam provides deep cleansing without upsetting the skin’s natural moisture balance. Nurturing ingredients including panthenol and urea effectively remove all traces of makeup, excess oil and environmental residue. Pure, natural aloe vera fluid soothes and minimises irritation, while purslane repairs damaged cells and protects against free radicals. · Formulated with purslane that activates the immortality enzyme telomerase, and aloe vera to heal and lock in moisture. Tips: Apply the foam cleanser to damp skin and massage. Rinse thoroughly with warm water. Gentle enough to use both day and night on all skin types. 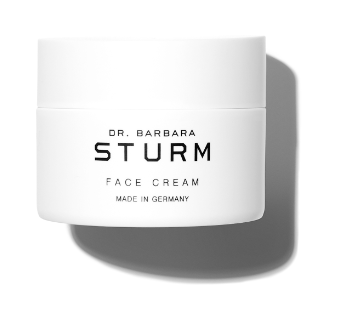 Dr. Sturm’s firming women’s face cream will bestow you with a radiant complexion – even without makeup – as it protects from daily stresses and environmental pollution while bathing the skin in vital nutrients. Featuring a gentle, lightweight formula that provides 24 hours of radiance and hydration, healthy and firm skin will accompany you throughout the day before your skin undergoes intensive night-time regeneration. · Feels surprisingly light and doesn’t irritate, even though it penetrates effectively right down to the deepest skin layers. Tips: Apply day and night to the face, neck and décolleté after cleansing. Suitable for all skin types and gentle enough to use around the eyes. Packed with highly concentrated long- and short-chain hyaluronic molecules that provide intensive hydration, this easy-to-apply serum functions as a super booster against wrinkles. Used regularly to prevent wrinkles caused by dehydration, or as a refreshing treatment, its instant effects include tangibly firmer, intensively hydrated skin that leaves you looking refreshed and radiant. · Includes anti-inflammatory and anti-oxidative purslane and skullcap that nourish and protect your skin, while boosting telomerase activity in cells. Tips: Squeeze one full pipette into the palm of your hand and apply it evenly to your face before gently patting it in. After 30 seconds, when the serum has been absorbed, apply a face cream. Air pollution and blue-light radiation emitted from our computers and phones can degrade skin barrier function and cause skin health disorders. This serum protects the skin with a shield against environmental stressors, promotes the skin’s own natural barrier function, and combats the oxidation and inflammation caused by pollutants. Its innovative protective complex includes French Polynesian marine microbe extract, cocoa seed extract, and disodium EDTA. · Disodium EDTA deactivates heavy metal ions, and purslane repairs damaged cells and protects against free radicals. Tips: Dispense a full pipette of Anti-Pollution Drops into the palm of your hand and apply to the face, eye and neck areas using a gentle patting motion. Sun Drops bring critical SPF 50 broad-spectrum sun protection to your skincare routine. The light-textured facial serum helps protect against wrinkles and other visible signs of ageing such as sun spots and skin discolouration. Enriched with cassia extract, vitamin E, beta-glucan, purslane, hyaluronic acid, green tea leaf, and chamomile flower, this serum contains a combination of four highly effective, non-penetrating screens. · Provides SPF 50 protection against UVA and UVB light. · Nourishes, protects and promotes skin resiliency with cassia extract, vitamin E, beta-glucan, purslane, hyaluronic acid, green tea, and chamomile. · Beautifully lightweight and especially suitable for sensitive skin. Tips: Apply liberally 15 minutes before sun exposure and reapply as directed. Can be used five minutes prior to putting on your face cream (before applying makeup). Avoid the midday sun and reapply frequently to maintain sun protection. This intensive treatment infuses skin with extra moisture for a tighter, smoother and suppler look. Aloe vera and chamomile deeply hydrate while calming irritation, and purslane activates the skin’s own antioxidant defence system to protect sensitive cell membranes against free radicals. Kaolin (China clay) will leave your skin feeling silky and supple without the drying effects frequently associated with clay masks. · Kaolin (China clay) lends silky-soft smoothness and suppleness. Tips: Apply a generous amount after cleansing. Leave the mask on for 20–30 minutes before rinsing with lukewarm water and follow with a nourishing face cream. May be used two to three times per week. Often neglected while the face receives the lion’s share of the attention, your body deserves special skincare. These exquisite treatments will treat your body to moisture and nourishment for radiant skin from tip to toe. This rich anti-ageing body cream leaves the skin feeling velvety-smooth, supple and thoroughly moisturised. It features a nourishing blend of nutrient-rich oils paired with hydrating, inflammation-reducing compounds that diminish the signs of ageing and restore elasticity for visibly firmer, rejuvenated skin. Infused with refreshing pure glacier water, the feather-light formula is quickly absorbed, providing long-lasting hydration and glow. · Potent anti-inflammatories and antioxidants protect the sensitive cell membranes from free radical attack and help reverse the signs of skin ageing. Tips: Apply evenly to the body using small, circular movements. After giving birth to her daughter Pepper in 2014, Dr. Barbara Sturm wanted only the best products to care for her newborn’s soft, pure skin. Uncertain of the existing baby and kids care products on the market, and armed with extensive knowledge and skincare expertise, her solution was clear: to formulate a collection of baby care products made with the expertise of a doctor combined with the love of a mother. The dermatologically tested Baby & Kids Mini Molecular collection is formulated without fragrance and harmful irritants, and gentle enough to use every day. This face cream is an intensely soothing rich lotion formulated to protect children’s sensitive skin against external influences such as cold and harsh weather. Highly efficient and safe ingredients like almond blossom and calendula form a soothing, protective barrier over delicate skin. Jojoba and sweet almond oil nourish, leaving your precious bundle soft and moisturised. Tips: Apply to the face and hands, avoiding the eye area. This specially formulated lotion uses marigold extract to protect delicate skin from external elements, and chamomile extract to soothe and calm. Precious jojoba and sweet almond oil keep the skin soft, smooth and hydrated, while maintaining its natural softness. Tips: Smooth over the body and massage in gently. Soothe and nourish delicate skin after each diaper change with this post-nappy ointment. Marigold extract strengthens the skin barrier and reduces redness and irritation, zinc encourages healing, and panthenol helps to provide soothing relief. After regular use, your baby’s bottom will become more resistant to dampness and rashes. Tips: Generously apply the cream in the nappy area and in the folds of the skin after each nappy change.